Opening on 18 March (until 7 July 2019) the National Gallery will be staging the first exhibition in the UK, for over a century, of the work of the Spanish impressionist Joaquín Sorolla y Bastida (1863–1923). 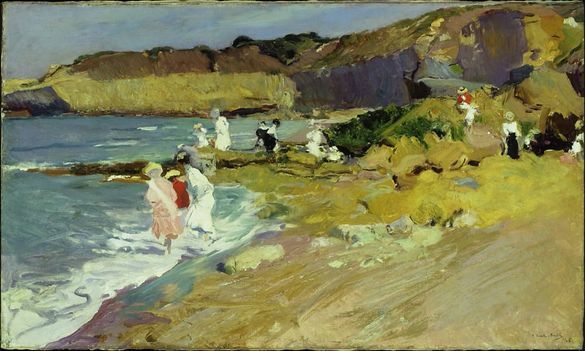 Known as the Spanish Master of Light for his iridescent canvases, many of Sorolla’s paintings of landscapes and seascapes were inspired by his time spent in and around Valencia, where he was born. This spring, follow in the footsteps of Sorolla by exploring north Valencia’s Castellóregion and see the coastal towns and natural parks that inspired much of his paintings on Ramblers Walking Holidaysseven-night ‘Orange Blossom Coast’. Based in Benicassim, the holiday takes in a spectacular mix of trails, walking with local guides through small medieval villages, steeped in Moorish history, and the protected natural parks of the Serra d’Espada, Serra d’Itra and Desert of Palms. Known as the ‘Pantry of Spain’, the region offers a delicious range of fresh produce with the chance to dine on fragrant figs, cherries and almonds. Ramblers Walking Holidays (01707 331133; ramblersholidays.co.uk) 7 night Orange Blossom Coaststarts from £1,195/person including return flights to Valencia, airport transfers, en suite accommodation, breakfasts, dinners taken in the hotel and at local restaurants, lunch at a superb local restaurant, local walks with guides each day and local transport. Departures 21 March, 18 April, 10 October, 15 November & 22 December 2019.